Welcome to Oponeo.ie - We provide you with professional information and help concerning tyres and wheels and snow chains. Moreover, we sell our products to you subject to the conditions set out on this page. The Seller and Data Controller is Oponeo.pl S.A. company, established in Bydgoszcz, ul. Podleśna 17, 85-145 Bydgoszcz, entered in the Register of Entrepreneurs of the National Court Register kept by the District Court in Bydgoszcz, 13th Commercial Division, under the KRS number 0000275601. Share capital: PLN 13 936 000.00, Tax Identification Number NIP: 953-24-57-650, State Statistical Number REGON: 093149847, phone number: 076 604 27 03, fax: + 48 52 341 88 50, e-mail: info@oponeo.ie. Please read these conditions carefully before using the Oponeo.ie website. By using the Oponeo.ie website, you signify your agreement to be bound by these conditions. By ordering the chosen goods via the Internet, the customer makes a binding offer to conclude a sales distance contract which enters into force at the moment of receiving goods. When you place an order to purchase a product from Oponeo.ie, we will send you an e-mail confirming receipt of your order and containing the details of your order. Please note that if you do not appear to have received a reply within 1 working day, it would be advisable to check any 'Junk Mail' or SPAM filters which may be installed on your system, prior to any further contact. Our reply may have been erroneously blocked by such software. Your order represents an offer to us to purchase a product. Any products on the same order which we have not confirmed in a dispatch confirmation e-mail to have been dispatched do not form part of the contract. By placing an order in the provided manner, the customer declares to have read all the information provided to him or her during the purchase process, and to accept the general conditions and payment. In case of non-availability of the ordered items, the customer is immediately informed by an e-mail. We have no control over stocks in our suppliers possession and thus are either no longer available or their changes in type or design. We hereby reserve the right to change the prices of the products in our offer and also to price errors. If they occur our clients will be immediately informed. Price lists and other advertising matter are only an indication of the type of goods offered, and no particulars therein shall be binding upon Oponeo .ie. All prices quoted therein are subject to alternation or withdrawal from time to time. The price given in any quotation by our company shall only be valid if it is accepted by making an order at the time of giving the quotation otherwise it shall be the price as at the date of acceptance by the company of the order from the customer. We can accept orders only from the customers who are over 18 years old. Payments made by fax, mail or telephone, unfortunately cannot be accepted for technical reasons. Available items will be immediately shipped after receiving the payment receipt. In addition, we would like to warn you that an unpaid order will be automatically deleted after 10 days from the date on which it was made. Oponeo.ie reserves the right to accept or refuse orders, it also reserves the right to cancel any uncompleted order. Upon placing an order for the tyres the customer shall be deemed to have determined by his or her own expertise the suitability of the tyres and the fitness of the goods for the particular use and purpose that he intends to put them to or use them for and shall not in any way rely upon the expertise of or of any statements made by the Oponeo.ie or any of its agents or employees. To cancel your order please write to our e-mail address: info@oponeo.ie or call the following phone number: 076 604 27 03. We make buying goods as convenient as possible as we deliver your order to your doorstep. Online orders can be shipped to anywhere in the Ireland. Delivery is free. For deliveries outside Ireland, please check our Spanish, Belgian, Dutch, French, German, Austrian, Italian, Czech, Slovak, Polish, Turkish or American sites. The tyres can be delivered directly to your home address or to an alternative address but in this case, please specify the delivery address and notify the person authorized to receive the tyres on your behalf. The normal delivery time for an existing order is up to 5 working days (please note that all delivery times are subject to stock availability). Statutory delivery time is 30 days. The above mentioned time of delivery is non-binding and can be extended in case of labor disputes, strikes and lockouts and unforeseen obstacles that are beyond the control of the seller, e.g. delivery delays of suppliers, transportation malfunctions, material or energy shortages, etc. Oponeo.ie will endeavor to deliver the goods within the time agreed but in no circumstances will it be liable for any loss or damage of any kind whatsoever caused directly by any delay in the delivery of the goods. 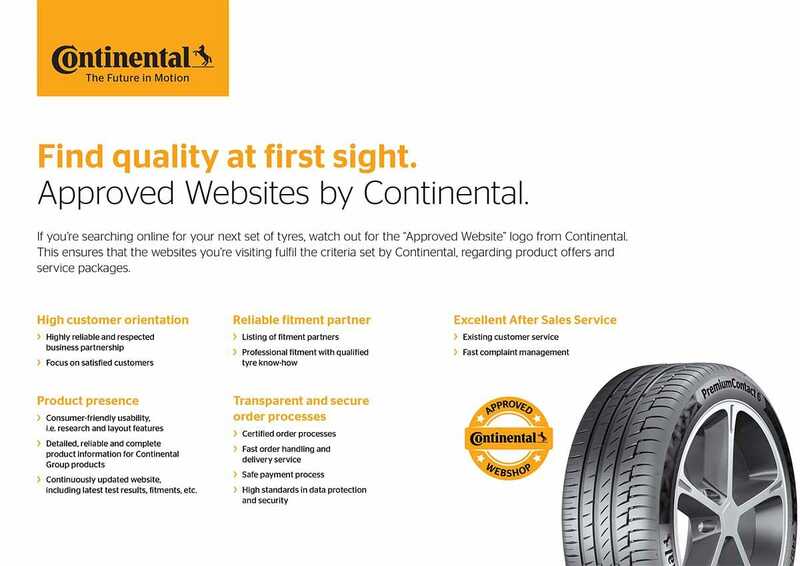 You will be notified by e-mail if we do not have your tyres in stock. In case of receiving an incorrect number of items, the customer is obliged to contact the customer service. If by reason of force majeure the completion of the delivery of the goods is in our opinion rendered impracticable our company shall be at liberty to terminate the order by sending an e-mail to our customer and refunding the money previously paid by the customer. When the goods are sent out, you will receive notification by an e-mail. This e-mail will serve as your invoice. Oponeo.ie reserves the right to accept or refuse orders. The company also reserves the right to cancel any uncompleted order or to suspend the delivery. In this case the customer receives his or her previously paid money back. All prices are retail prices and include postage, packing and VAT within the territory of Ireland. There is no difference according to number of the ordered tyres. All of them are in EURO. The purchase price of each product depends on the day of the order price list of Oponeo.ie. Oponeo.ie . Undertakes to deliver the goods accordingly to what the customer has ordered. In case of receiving a different item than ordered, please contact our Customer Service Department via phone or e-mail ([jsEmailPlace]). Under normal circumstances payment shall be made at the time that the order is placed. Payment may be made by, and is accepted by bank wire transfer, PayPal, major credit and debit cards: VISA, MasterCard. Oponeo.ie may in its absolute discretion and without prejudice to any other rights which it may have, suspend all future deliveries of goods to the trade customer and/or terminate any contract without liability upon its part. In the event of any breach of the Terms and Conditions by the customer. In addition, we would like to warn you that an unpaid order will be automatically deleted after 10 days from the date on which it was made. With orders paid via bank transfer we will dispatch the goods only after the money are being recorded on Oponeo.ie account. The buyer has right to resign the distance contract without giving any reason. It is optional to fill in the Cancellation Form (available here) and send it to us no later than 14 days after the delivery of the last item. If the 14th days falls on a bank holiday/Sunday, than the cool-off period is prolonged to the next available working day. If you would like Oponeo.ie to collect the goods from you, we will have to charge you 15EUR / tyre. The goods will be only accepted when non-used to your vechicle/ not damaged. In case of successful cancellation the mutually received benefits are reversed. However, in such event the customer shall be responsible for the costs of returning the goods. When Oponeo.ie collects the goods, it retains the right to charge the customer for any direct costs associated with the return of the goods. Oponeo.ie reserves the law to collect the goods 3 times if the collection reason results from the customer's mistake. Furthermore, Oponeo.ie will not pick-up the goods after several unsuccessful collection attempts. After the successful collection of the goods, Oponeo.ie has 14 days to provide the customer with the money refund. Any defects in the Goods which under proper use appear within a reasonable period after delivery and which are due to faulty materials, workmanship or design will be made good by Oponeo.ie either by repair or, at the sole discretion of Oponeo.ie, by replacement or refund. Any claim for goods or the defective parts should be returned together with proof of purchase. Any claim for defective goods or parts must be made in writing (specifying the date of purchase and invoice number) within 14 days after delivery. 3. The products sold by Oponeo.ie are covered with Oponeo.ie warrant or the manufacturer’s guarantee. 1. Every product defect complaint, can be reported in writing (via e-mail [info@oponeo.ie] or by phone [076 604 27 03]. 3. According with the terms, the seller begins the complaint procedure after receiving the fully completed and personally signed complaint form. The form should be sent to the e-mail address: info@oponeo.ie. 11. Oponeo.ie cannot be expected to compensate any delays concerning the reparation or exchange of product. The consumer who would like to take advantage of the possibility of an amicable resolution to disputes concerning online purchases may submit a complaint, for example, via the EU's Internet ODR platform which is available at: https://ec.europa.eu/consumers/odr/. Please also note that Oponeo.ie reserves the right to refuse to resolve the dispute through mediation notified via the ODR platform. We would also like to remind the consumer that they have the right to notify any claims for purchased goods from the Oponeo.ie store using the following e-mail address: info@oponeo.ie. Users of this website may post reviews, comments and other content; and submit suggestions, ideas, comments, questions, or other information, as long as the content is not illegal, obscene, abusive, threatening, defamatory, invasive of privacy, infringing of intellectual property rights, or otherwise injurious to third parties, or objectionable and does not consist of or contain software viruses, political campaigning, commercial solicitation, chain letters, mass mailings, or any form of "spam." Oponeo.ie reserves the right to remove or edit any content. Oponeo.ie may revise these Terms at any time. If any provision of these Terms and Conditions is held to be invalid or unenforceable such invalidity or unenforceability shall not affect the other provisions or part of such clauses. You can save the current Terms and Conditions now or print them for your records. Failure by Oponeo.ie to enforce any of the Terms and Conditions shall not be construed as a waiver of any of the company’s right hereunder. Oponeo.ie shall not incur any liability nor shall any right accrue to the purchaser by reason of any misrepresentation arising from: printing and clerical errors or oral statements not confirmed by Oponeo.ie in writing.